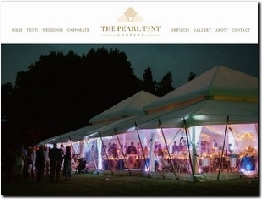 The Pearl Tent Company provides luxury marquee hire and fit-out services for special corporate occasions including company parties, hospitality events and brand experience days, as well as private celebrations and weddings. Beautiful stretch tents and accessories from a friendly, conscientious supplier based in South Bucks. 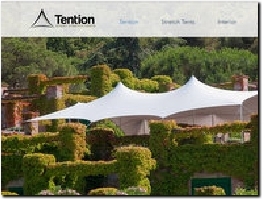 Hi, welcome to Tention - your local specialist marquee hire company. We make weddings stand out of the crowd by installing eye-catching stretch tents, an effective alternative to traditional marquee designs. 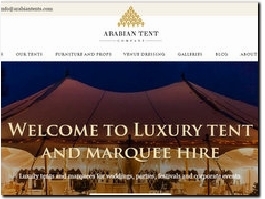 Specialise in providing a wide range of beautiful tents and marquees. 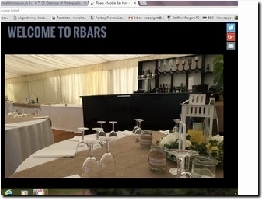 Rbars caters for a wide range of events and special occasions including weddings, birthdays, garden parties, small events and corporate events which you can choose from our 8ft or 16ft bar. Northern Marquee offers quality marquee hire services across Yorkshire and specialise in catering for weddings. Specialising in stunning wedding marquee hire in London, Hampshire, Kent, Surrey and Sussex, Style Marquee provide a wide range of beautiful marquees to suit your style and location requirements, complete with full catering and bar services. 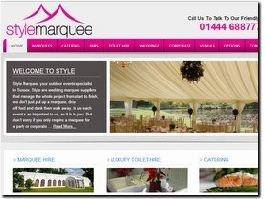 Crystal Marquee Hire is a family run business which offers marquees for hire in Surrey, London and the Home Counties. 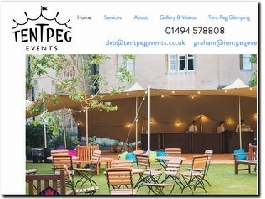 The client can choose from marquees for weddings, parties, themed parties and corporate events. We are a luxury glamping company based in East Sussex. Our beautiful bell tents are available to hire for weddings, festivals and events. 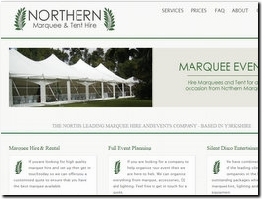 North West suppliers of Marquee Hire in Manchester and the North West. For your wedding, party or corporate function. New concept in mobile bar and mobile bar hire. Established in Wales & West for over ten years, we provide first class wedding bars and corporate bars throughout the U.K. We have a range of bars to suit all types of wedding venues marquees, stately homes, village halls and private hire. Main Event Marquees is leading marquee hire company offering services in Surrey, Sussex, Kent and Berkshire with years of experience. Here at Star Gaze Tents, we offer a beautiful alternative to a traditional marquee hire for weddings. Our Star Tents an eye catching and unique design so if you are looking for a cost effect alternative to a marquee or tipi then think Star Gaze Tents. Skye provide wedding marquee hire in Cheshire, the Wirral, North Wales and surrounding areas. Check the website today to find the perfect party or wedding tent. We offer a luxury 19 feet Wedding Night Yurt delivered and assembled from £100 p/n furnished with a king size bed, crisp linen, sofa, carpet, heater, rugs, chandelier, candles, complimentary hamper and breakfast goodies. Within the Midlands. We now have 5m and 6m Bell Tents for hire. 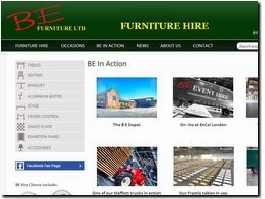 East Midlands (mainly areas surrounding Nottingham, Derby & Loughborough) marque hire. Also do tables, chairs, flooring, tent lining/curtains, table cloths, lighting, dance floors, electricals, artificial plants...etc. Competitive pricing (no VAT). 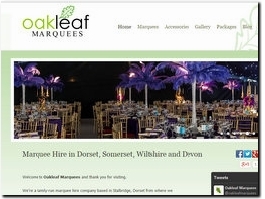 Wrights marquees are a friendly, family run marquee and events hire company based in Fareham. We provide a professional service throughout Hampshire that specialise in weddings as well as corporate events and all special occasions. We offer Freeform marquees and stretch tents to hire for weddings. Our immaculately white freeform marquees will infuse your special day with a delightful charm. Magnolia Yurts pride ourselves on delivering your dream, your way. 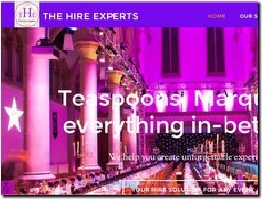 We work with you to understand your requirements so we can help deliver the perfect bespoke service for your event. Our Yurts provide a unique alternative to a normal marquee hire. We are a marquee hire company with 25 years experience providing marquee hire for corporate, public and private events across the south east. Abracadabra Starlight Solutions Hire has been supplying Drape and Pole, LED Starlight Cloths and Twinkle Light Wedding Backdrop equipment and related services for over 7 years. We work with our customers to help keep their businesses working safely and efficiently whilst minimising their costs.